Making your own guacamole is so quick and easy it seems like madness to buy the bland, pappy stuff they sell in supermarkets. 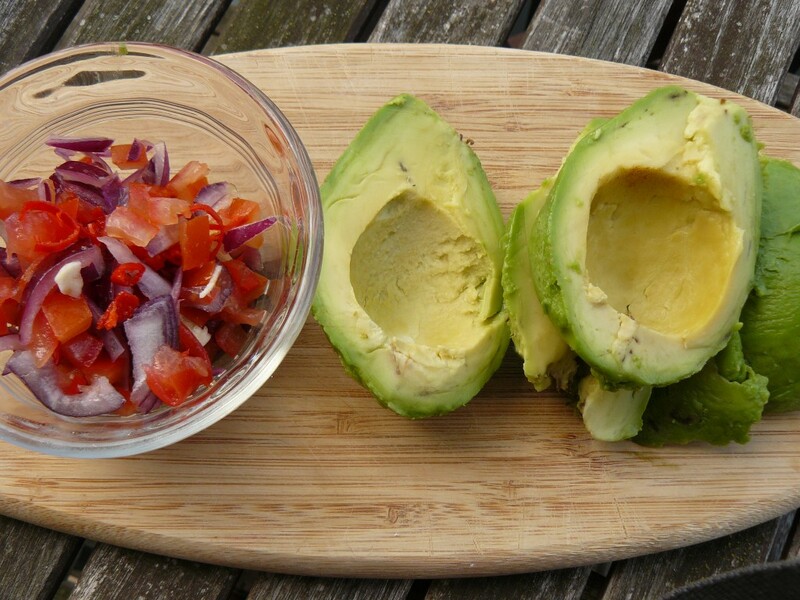 This is very simple, mega-tasty and knocks soggy, shop-bought soggy guacamole out of the water. Avocado is a good source of dietary fibre, potassium, B-6 and Vitamin C. It has quite a high fat content but the majority of is unsaturated; it’s not something to eat every day but is great (and delicious) as part of a well-balanced diet. This is so good we’ve made it twice this week already – once for our Perfect Vegetarian Picnic and again for a fantastic Mexican feast we made for a friend visiting from overseas (yes, that’s what we do if you visit us – cook and eat!) Recipes for the Mexican feast to follow soon. In the meantime, here’s our Classic Guacamole to brighten up your sandwiches, salads and snack times. 1 Place the flesh from the avocados in a large bowl and mash with a fork (much better than a food processor for this; you don’t want the avocado to be too smooth). 2 Mix in the tomato, red onion, chili (if using) and blend well. 4 Add the salt, black pepper, most of the coriander and some of the lime juice. Mix well then taste, adding more lime juice if you’d like your guacamole to be more moist and tangy. 5 Sprinkle with the rest of the coriander/cilantro and serve.